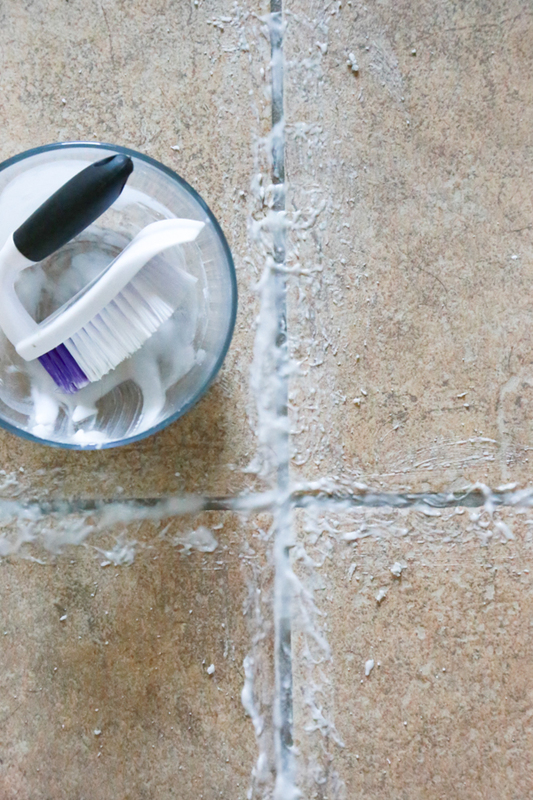 If your tile grout is in need of good deep-cleaning, try this Homemade 2-Ingredient Non-Toxic Grout Cleaner. One thing I didn’t think about when I bought my home 6 years ago was how much work would be involved in keeping ceramic tile floors clean and looking nice. There’s more to it beyond the normal sweeping and mopping – who knew. I didn’t even realize how nasty the grout between our tile had gotten until I moved a piece of furniture. 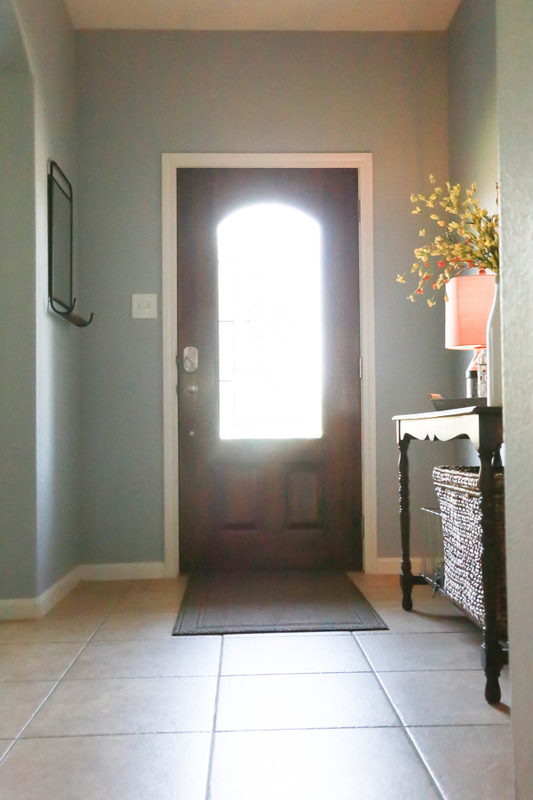 I was absolutely blown away by how much the grout had been discolored over the years. Talk about yuck! 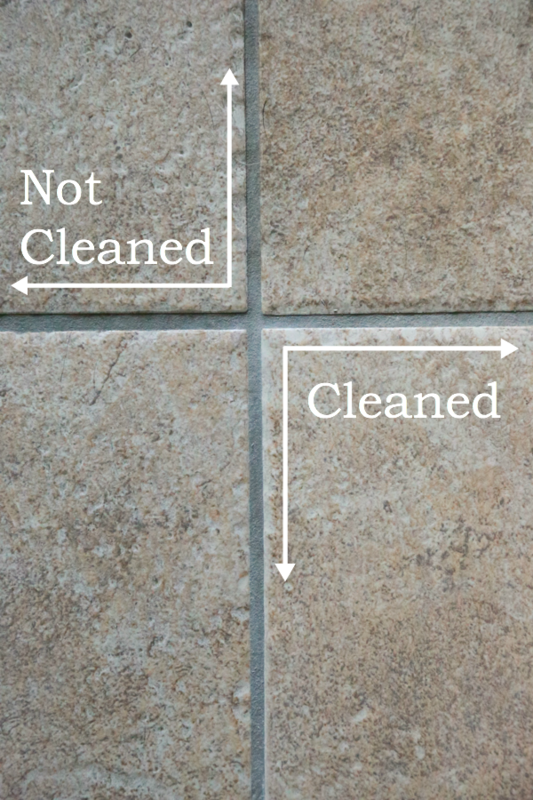 I started researching all different kinds of ways to clean our tile and if you’ve done that Google search, I’m sure you were just as overwhelmed as I was. From heavy machinery to toxic chemicals, there is no shortage of ways to get the grout clean. But I didn’t want to spend a lot of money and I didn’t want to pour toxic chemicals where my children and pets play. 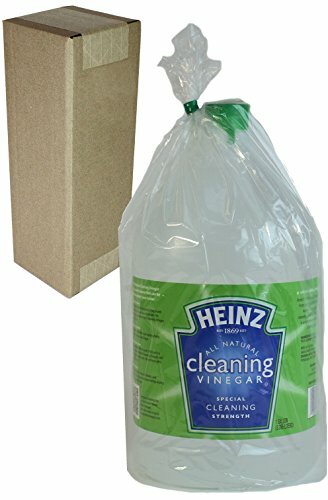 I’ve been doing what I can to live a cleaner lifestyle and I remembered that I’ve been using baking soda and cleaning vinegar to clean, along with my Thieves cleaner, and decided to give it a go. If you’ve used baking soda and cleaning vinegar to clean, you know just how powerful they can be around the house. But can they clean dirty tile grout? Baking SodaBuy Now! Cleaning VinegarBuy Now! 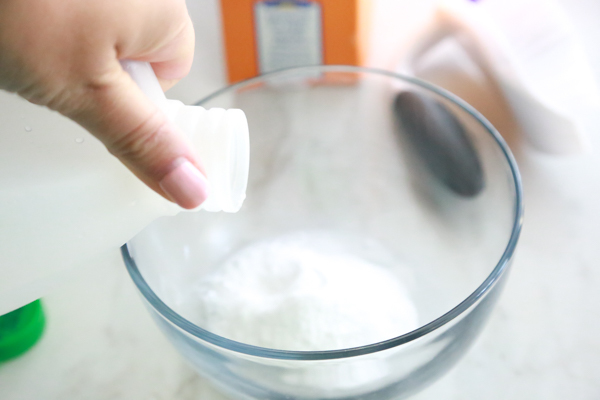 To make your own Homemade 2-Ingredient Non-Toxic Grout Cleaner, you’ll need to grab baking soda, cleaning vinegar, bowl, and something to stir with. 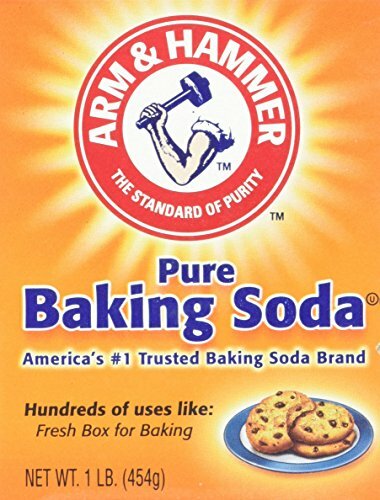 Pour some baking soda into a bowl (the amount will depend on the area you’re cleaning so just eyeball the first batch). Next, slowly pour in the cleaning vinegar (again just eyeball it). 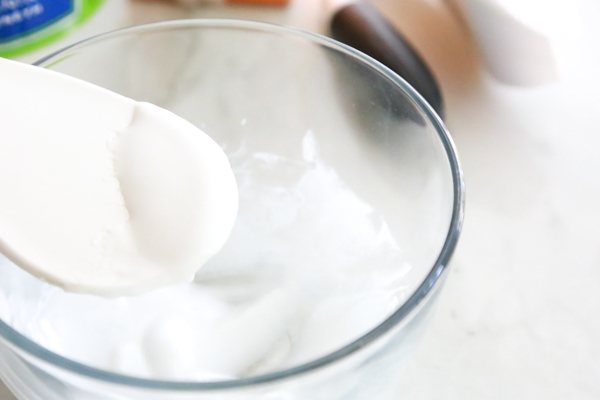 Mix the 2 ingredients together until you have formed a paste. If the mixture is too thin, add in more baking soda. If it’s too thick, add in more vinegar. Tip: You need a paste thin enough to spread in the grout but thick enough not to run. Once you’ve made the paste, spread along the grout line using a toothbrush, scrub brush or whatever you have laying around. Personally, I like using a scrub brush. It’s more comfortable in my hand and I can apply the right amount of pressure without hurting my hand. Allow the mixture to sit on the tile grout for about 10 minutes. You’ll probably notice the paste start to change colors if your grout was really dirty like mine. After the 10 minutes are up, use a scrub brush and scrub along the grout lines in a circular motion. Work in small areas so that you can rinse with water as you go. Tip: This is a comfortable scrub brush. If you don’t already have one, this one is a great option. For some reason my camera isn’t doing a very good job of showing how well this Non-Toxic Grout Cleaner works. I think you can see from this photo though that there is a difference between the grout lines that I cleaned and the grout lines that I didn’t. Tip: I do not recommend cleaning your tile with this mixture, this is only for deep-cleaning the grout. If you need a non-toxic tile cleaner, I highly recommend Thieves from Young Living. Not only do you get a nice, clean tile, it smells absolutely divine. I feel good about using products that aren’t laced with chemicals that could possibly be toxic to my family. Making my own grout cleaner using baking soda and vinegar is just one of the ways I’m trying to do my part for a safer environment. Looking for more ways cleaning tips? Print out this Get a Clean Home in 4 Weeks Printable and be on your way to a cleaner, healthier home. 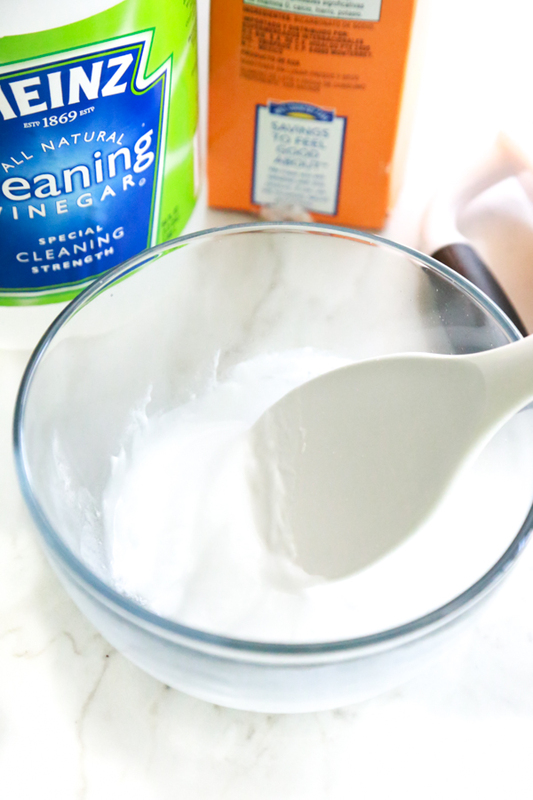 Don’t forget to pin this Homemade 2-Ingredient Non-Toxic Grout Cleaner to your cleaning or DIY board on Pinterest.